Laptop makes our office, our entertainment and our important files portable and convenient. You can take your laptop anywhere you go, whether you're working at home, the coffee shop or the park. One of the most important laptop accessories you have is your laptop adapter or power cord. Your laptop needs power to keep you on the go, and a lost or broken laptop adapter can seriously slow you if you haven't lost your ac adapter, you may want to purchase a back-up power cord to keep at home or at the office. Here are some steps to help you quickly find the correct charger or power cord, so you can get back to work and play. Choosing the right ac adapter is all a matter of voltage,output power,and proper all of these things do not match the original specifications of your current laptop ac adapters,then a new laptop adapter will likely do not work on your notebook and may potentially cause a lot of the end,most notebook ac adapters have a list of computers they are compatible with and a list of part numbers that will work per laptop model. The first thing to consider in an adapter is the voltage. The easiest way to check this is to turn the computer over and see if there is a voltage listed anywhere on the bottom of the notebook. A sticker may be affixed with this information and other similar laptop specification listed. It should be a number with a V such as 20V. This information is also available on the original adapter, if it is available to you. If you do have a current working notebook ac adapter then your best bet is to buy the same exact part number that is on the laptop ac adapter itself. for the users who will travel abroad especially to Europe and Asia. You would need laptop AC adapters that compatible with 220-240 voltage also. So it would be wise, Always look for AC adapters accept 100~240 voltages. 100~240 voltages AC adapters will go with you worldwide. You do not need to carry 2 adapters anymore!!! The second thing to look for is the current output needed for the laptop ac adapter. Different laptops were designed to consume power varied by equipments such as CD-Rom, LCD size, CPU maker and CPU speed. You require to use the "matching voltage" . Only use the AC adapters output the matching voltage of your laptops. You can easily locate voltage. Just for example, it may say something like 3.5A, 750mA etc. This number will ensure that the power going to your notebook will be acceptable and keep it operating normal. Not paying attention to either of these numbers could cause the electrical systems in your laptop to malfunction and stop working altogether, Mostly,voltage is printed on your laptops. You also can check your laptop manual. Once these two issues have been settled, if you do not want to get a universal adapter,the other important step is finding the right "tips" , Different laptops have different connectors. You need the right tip for your notebook. This is very simply to find. Basically, laptop AC adapters comprise of 2 ends. One end is male power outlet. 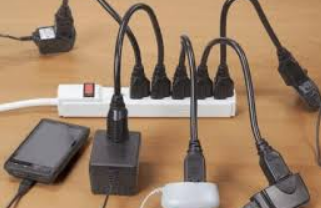 You use this end to plug into wall power other end is called "TIP" which you will plug this tip into the "DC IN" in your voltage and output current of the laptop ac adapter will not matter if it is not able to be connected. I suggest and think the best way to go is buying a sample of replacement battery charger with the identical part number directly from the manufacturer. Another thing to consider is whether you want an AC adapter or DC adapter. An AC adapter is made to be plugged into any standard electrical outlet such as those in a home or office. The DC adapter is made for automobile laptop won't work on the wrong tip. You can only use the " matching Tips" Warning: DO NOT try to force it in. Search engine optimization has long been the Holy Grail of Web marketing. Every website owner wants to see their sites rank well in the top engines, but exactly how to achieve this remains a mystery for most marketers. The first thing I want to point out is this fact: The exact algorithms used by the major search engines are actually proprietary, so anyone who doesn?t work for one of these companies who tells you they know exactly what it takes to put you at the top is probably lying to you. The truth is the search engine companies don?t want people like me understanding their systems and creating positive results for my clients. The people behind search engine technology believe their algorithms provide the perfect solution for a Web surfer?s query. But of course you and I know better. How many times have you tried to do a simple keyword search and ended up with page after page of irrelevant results? Whether they like it or not, the search engines do need help from proficient designers and skilled marketers. It?s up to us to add the human element that robots and software simply can?t accomplish in an effort to bring searchers the best possible results. SEO (search engine optimization) is a term with a very broad scope. There is a great deal of work and diligence involved in producing favorable search results for your website(s), but this article will take away much of the mystery that shrouds this subject and give you the basic fundamentals you?ll need to create some real results. First of all, you should know there are two aspects of search engine optimization; onsite and offsite. Onsite optimization refers to what you can do within your code to make your files more search engine friendly, and offsite refers to link building from other websites back to your web pages. Your title tag should reflect your primary keyword phrase. This is HUGELY important. Often when I visit a site I see the domain name in the title bar. The title tag is the first thing a search engine robot is going to take notice of, and if you blow this aspect of onsite optimization your remaining efforts will have considerably less impact. For instance, on one of my sites I sell an e-book to online marketers about the pitfalls of business opportunity programs found on the web. The title of my e-book is Net Marketing Exposed, which is pretty cool, but do you think this would be an intelligent entry for the Title tag of my main page? Of course not. Who on earth is going to search for ?Net Marketing Exposed?? So my title tag reads: Internet Marketing E-book | Internet Business Opportunity. My target market for the site I?m referencing consists of home-based opportunity seekers and Internet marketers so I have chosen keyword phrases that match these search terms for my Title tags. And note you can use the pipe character ( | ) to separate multiple terms in your title tag. I recommend going with at least two phrases in your title tag, but do not use the exact same words more than three times in your title. The debate as to whether or not search engines still reference your meta tags when spidering your site is a hot topic among SEO experts. I honestly don?t know if the major engines still read the keyword tag or not, but I add this tag anyway because it only takes a couple of minutes and why not take this extra step just in case right? Whether or not you utilize the Meta Keywords tag is up to you but I do urge you to use the Meta Description tag. We know for a fact the engines read this tag because if you have it entered in the head section of your html it is what displays under your site title in the search listings. So the description tag serves not only to add keyword relevance for the search engine spiders, it also acts as your ad when a searcher views your listing in the search results. Adding a quality description in this field can improve the clickthrough rate your listing receives once it is found through a keyword search. Of course the main page in every directory will have to be named index, but that?s ok as the engines are hip to that; just be sure to put some thought into your other file names. You should also use Header tags (H1, H2, H3, etc.) to illustrate important keyword phrases within your site. For example, the page title your visitor sees at the top of your content should be enclosed in H1 tags and should contain your primary keywords. And obviously your main keywords need to appear several times in the content of each page. Placing these phrases close to the top of your content is recommended, and you should use underline, bold, and italic tags to add emphasis to your keywords within your content. I have found the 'strong' tag to be of particular effectiveness. While on a visual level it serves the same purpose as the 'b' tag (creates bold text) my research suggests that search engine spiders respond better to the 'strong' tag. Be careful not to emphasize every keyword phrase with special tags, and avoid excessive and unnatural ?stuffing? of keywords onto your pages as the engines may pick this up and flag your site as search engine spam. Many designers and marketers ignore the value of proper image tagging when optimizing their templates for the engines. I can tell you right now I have seen a huge jump in ranking as a direct result of changing the structure of a site?s image tags. First of all, remember that search engine robots read text, not images. So avoid giving your image files names like ?? or ?? unless you are hoping to be ranked for search terms like header and photo. You should also be sure to use an alt tag with every image, and enter a keyword relevant phrase as your alt tag. Going back to my e-book site as an example, my header graphic is named , and has an alt tag of ?Internet marketing e-book reveals the truth about Internet business opportunities.? And the cover graphic for my book is named with a matching alt tag. Finally pay attention to the anchor tags and navigation structure of your site. It?s better to use keyword terms for a hyperlink text than to simply use ?click here?. I also suggest applying the Title attribute to add keyword phrases to your link tags. Of course if you use image links refer back to the image name and alt tag rules. And your menu should also be built around search engine friendly tags. For instance never use a ?Home Page? tag on your navigation; instead apply a relevant keyword. If your website is about swimming lessons, the menu button for your home page should say ?Swimming Lessons? or something similar and not simply ?Home?. This may seem like a lot to take in, but it?s really a very simple formula for building search engine ready templates. Review this info until it is second nature and apply it to every site you build and you?ll be on your way to stronger placement in the major engines. The last, and the most important element of basic SEO is offsite optimization. This is a fancy term for link building. To get the most out of your onsite optimization, you need plenty of good links pointing back to your website. And you should always strive for keyword anchored backlinks over straight URLs. Again using my example site that retails an e-book to folks with an interest in work from home opportunities, I want hyperlink text that reads ?Internet marketing e-book? or ?Internet business opportunity?. A correctly built link back allows you to control what search engine spiders look for once they follow a link to your site. Once they arrive through an anchor tag that reflects your primary keywords, the spiders will proceed to look for these terms in your file tags and page content, which will of course improve your potential rankings. This article has covered everything you need to get started with successful SEO. Master these concepts and you are certain to see a big jump in your search engine rankings! 0 Response to "How To Select The Correct Power Charger For Your Laptop"